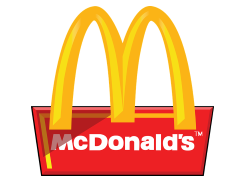 The McDonald’s restaurant chain is spreading across the world like wildfire with new stores opening every day in various different countries. One person has managed to highlight a link between the ‘Golden Arches’ of McDonald’s and the likelihood that a country will go to war. Strangely enough, this was true all the way up until the summer of 2008 with the start of the Russia-Georgia conflict. This is not to say that a common love for Big Macs will lead to world peace; it is important to remember that correlation does not mean causation. Friedman’s theory, although humorous at first, is a hauntingly accurate indication of the connection that trade holds with peace. The more rational explanation of this phenomenon is that countries with McDonald’s in them tend to be more economically developed and open to trade. This is because, for a business to invest a large amount of capital, the region must be stable or else there is a high risk of losing that investment. This theory is a prime example shows a strong link between peace and capitalism thus emphasising the points made in the capitalist peace theory.